Imagine a mutant strain of Dashiell Hammett crossed with Isaac Bashevis Singer, as one of the most imaginative contemporary novelists extends his fascination with classic pulp. The Pulitzer Prize–winning author (The Amazing Adventures of Kavalier & Clay, 2000, etc.) returns with an alternate-history novel that succeeds as both a hardboiled detective story and a softhearted romance. In the aftermath of World War II, a Jewish homeland has been established in Alaska rather than Israel. Amid the mean streets of Sitka, the major city, Detective Meyer Landsman lives in a seedy flophouse, where alcohol has dulled his investigative instincts. His marriage to his beloved Bina couldn’t survive an aborted pregnancy, after tests showed the possibility of birth defects. He also hasn’t gotten over the death of his younger sister, a pilot whose plane crashed. He finds his sense of mission renewed when there’s a murder in the hotel where he lives. The deceased was a heroin-addicted chess player, his slaying seemingly without motive. There’s an urgency to Landsman’s investigation, because the Promised Land established by the Alaskan Settlement Act is only a 50-year rental, with Jews expected to go elsewhere when the “Reversion” takes place two months hence. Thus, Landsman must solve the case before he loses his job and his home, a challenge complicated by the reappearance of his ex-wife, appointed chief of police during this transition before the Reversion. In her attempts to leave a clean slate, will she help her former husband or thwart him? Adding to the intrigue are a cult of extremists led by a gangster rabbi, a possibility that the death of Landsman’s sister wasn’t an accident and a conspiracy led by the U.S. government. “These are strange times to be a Jew,” say various characters, like a Greek chorus, though the novel suggests that all times are strange times to be a Jew. 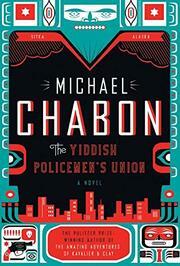 A page-turning noir, with a twist of Yiddish, that satisfies on many levels.